Summary: The surge in fintech activity has many possible repercussions for community banks. What the latest advancements mean for your bank. People all over the world are rejoicing the fact that an underwater autonomous drone using vision based technologies and artificial intelligence is out there hunting a specific kind of coral killing starfish. Humans have been doing this, but now this drone can do it 24 hours a day 7 days a week so it is much more effective. Good news for coral and reefs. This sort of technology is interesting and similar sorts of technological advancements are happening in the banking space. 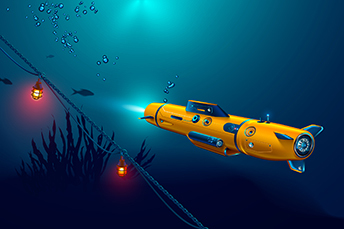 While not of the underwater variety, our fintech world means banks are racing to keep up. During the first half of 2018, US fintech companies received $14.2B in investment, including more than $5B in venture capital, according to a recent KPMG report. The surge in fintech activity has many possible repercussions for community banks. For starters, it signals the possibility of increased investment opportunities for smaller banks, even as larger banks continue to invest heavily. Already, more mid-tier banks, insurance companies and wealth management companies have been dipping their toes in the investment waters directly or via accelerators, incubators and the like, according to KPMG. There are also a growing number of examples of smaller banks starting to make investments in fintech, such as a bank in OH that invested in a Boston startup to streamline its lending process. The fintech surge also means more doors are opening to banks for possible third-party vendor relationships across a host of areas. These can be traditional and non-traditional, such as front-and-back-office support, lending, AI, blockchain, and wealth management. Technology that was once reserved for only the largest banks is now available to smaller institutions as well. Further, these opportunities will only increase as more startups enter the market. Amid this changing landscape, community banks must proceed with caution though. For example, with limited funds for outside investment, you're going to need to be even more discerning of possible opportunities. You'll also have to revisit certain tenets of vendor management. Be wary of longer-term contracts, as this has become increasingly less practical over the past several years as new firms and new technologies have proliferated. As a result, look for 3Y contracts vs 10Y ones. Another looming question is how the OCC's special purpose national bank charter for fintech companies will change the already changing landscape. Already a number of firms are encroaching on traditional bank territory. The paths of banks and fintechs are even more likely to cross in years to come. As such, we'll continue to keep you informed as technology and banking continue to intertwine now and into the foreseeable future. The FDIC issued a proposed rule that would let well-capitalized and well-rated institutions treat reciprocal deposits as non-brokered deposits, as long as they were less than 20% of a bank's total liabilities or $5B total. Banks that are not both well capitalized and well rated may exclude reciprocal deposits from brokered deposits under certain circumstances. 1) Bank of Utah ($1.3B,UT) will acquire American Bank of Commerce ($94mm, UT) for an undisclosed sum. An investor presentation by US Bank executives indicates the bank is pursuing a digital first strategy that makes M&A less attractive. The bank said it prefers to grow by studying markets where its customers operate and then opening a few well-placed branches and leveraging digital channels. Pulse research finds 76% of checking accounts at banks also have debit cards associated with them.